Lounging around in a comfortable space is the epitome of relaxation and when a cushion manages to capture the essence of comfort and class – all with a subtle nod to our sunswept country – you know you’re on to a nursery decor winner. 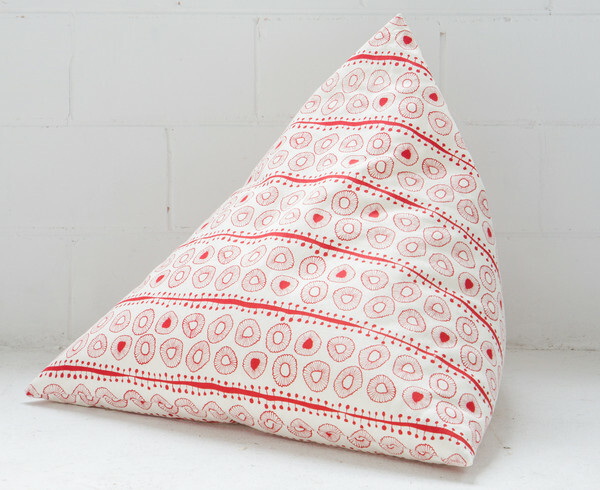 The pyramini cushion by Ink & Spindle is the perfect addition to a modern nursery or playroom. Shaped like a mini beanbag, these cushions are approximately 67cm in height and can be filled with your choice of beans, foam or bamboo fibre. There are a number of refreshingly timeless designs available in the pyramini cushion collection including Crayon, Kangaroo Paw, Rooftops, Pebbles and my favourite, Daisies (pictured below). All designs have a white or neutral background and can complement the style or theme of any room. Ink & Spindle is a Melbourne-based company which produces a gorgeous range of fabrics inspired by native Australian flora and fauna as well as the energy of urban Melbourne. With sustainability at the heart of all they do, Ink & Spindle’s designs are handprinted on ethically sourced textiles. One of the features I love most about Ink & Spindle is that they also sell their handcrafted textiles by the metre as well as in bundles and kits. 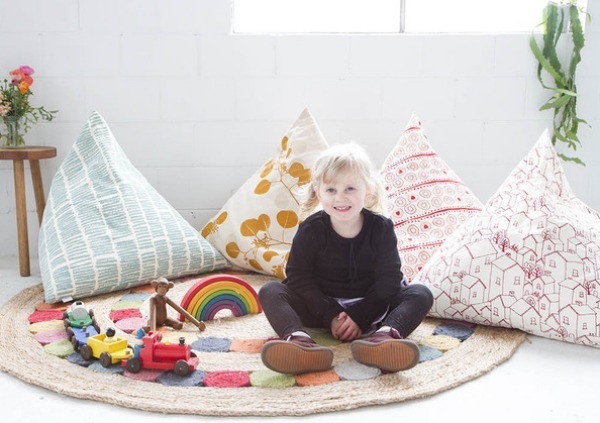 This means that you can get creative and use their designs however you like – bunting, pillows, quilts – all over the house. 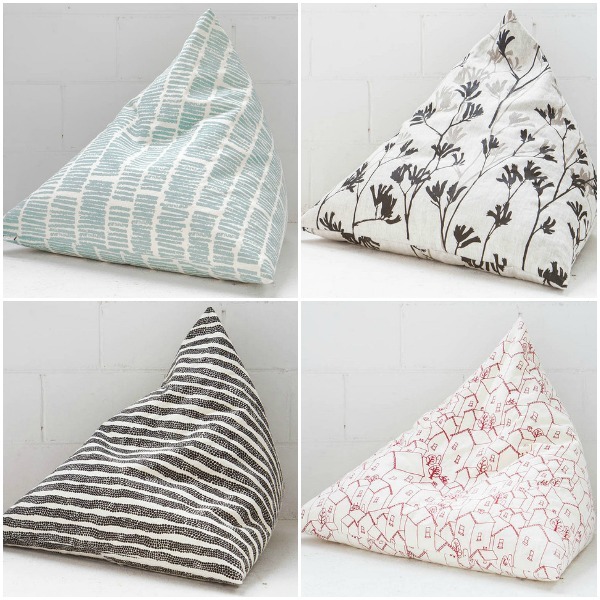 Buy your favourite pyramini cushion and lots of other products direct from Ink & Spindle . You can also find Ink & Spindle textiles by the metre at stockists around Australia.